The Savage Sword of Conan #1, 1974 | Magazines and Monsters! ← The Invaders- My Jack Kirby Finale! Alright, a new month, and we say goodbye to Jack Kirby, but in his absence, we will see another titan of the comic book industry that left us way to soon, in the form of ‘Big’ John Buscema! A week-long tribute to him, then on to another comic book icon! There’s no two ways about it, you have to start out with a tribute to John Buscema with that Cimmerian warrior, Conan! 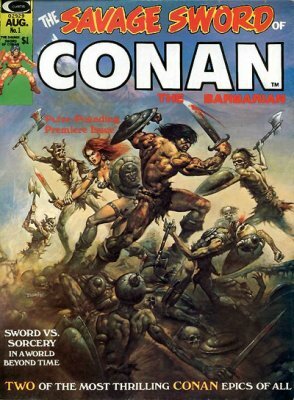 In the first issue of The Savage Sword of Conan #1 (cover by Boris Vallejo), we get to see Conan, as he’s doing his usual thing (partying, and getting into trouble), but then out of nowhere, as he’s attacked by some vagabonds, he’s assisted by the beautiful but dangerous, Red Sonja! The two then go on to have an adventure that includes rescuing a girl from being sacrificed on an altar by some evildoers! 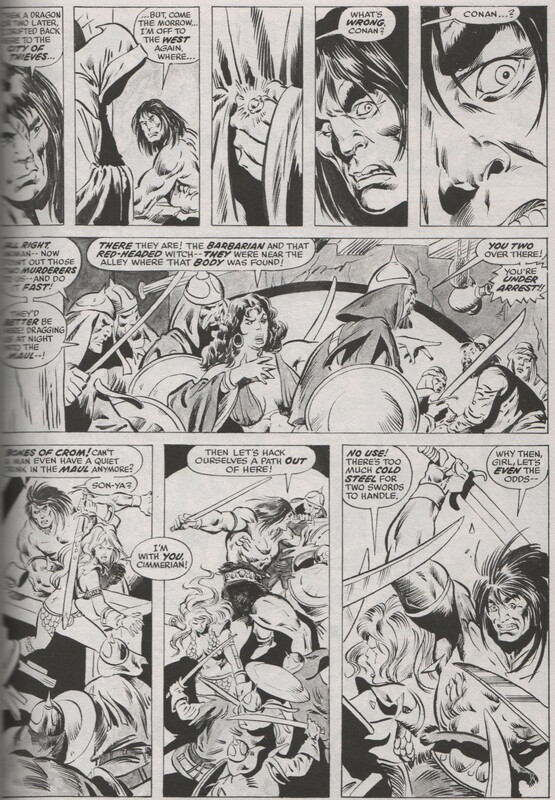 Nobody could draw Conan like John Buscema (Barry Windsor-Smith did a fine job too), and when you see other renderings, you will find it to be true! 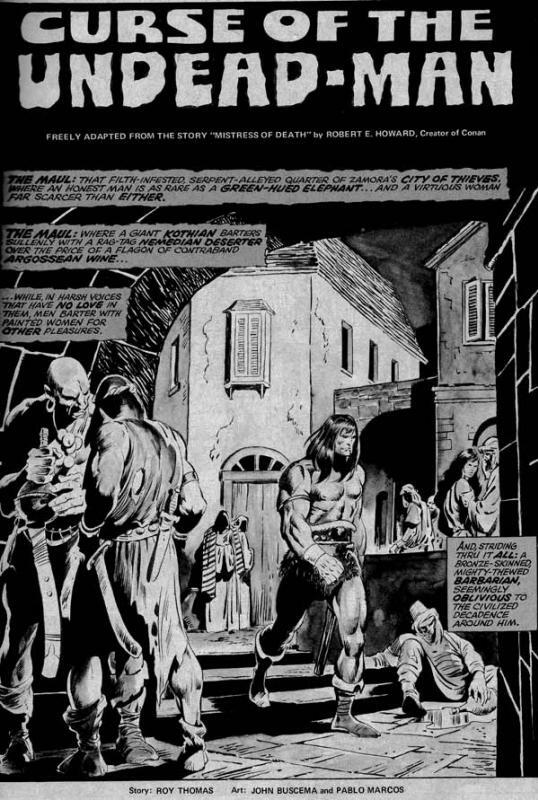 Whether it was gulping down a flagon of ale, fighting in some desert war, or riding a horse across the wilderness, ‘Big’ John Buscema was king of Conan the Barbarian! Enjoy!